Pet vacuums are a part of a very lively industry packed with constant innovations and revolutionary designs and ideas. As good as that may seem at first, it also makes the market difficult to navigate and turns proper research into a demanding and time-consuming task. Let’s face it, nobody vacuums the house with a great big smile on their face. However, it is something we have to do, especially with pets in the home. Read this detailed guide on corded vs. cordless pet vacuums to find out all about their advantages and shortcomings and determine which type works best for you. Before we get to the actual pros and cons of corded and cordless pet vacuums, it is important to define two different types of advantages. The first type includes features that are highly coveted by pet owners regardless of their personal preferences or circumstances. For example, strong suction power is something every pet owner needs in their vacuum cleaner. There are no factors to invalidate this claim, which is why suction power falls into the general advantages bracket. On the other hand, there are some potential advantages that depend on your personal situation. These can turn into hindrances just as easily, so it is very important to recognize your personal needs and pick the right model accordingly. For example, a long telescopic handle and power cord are usually beneficial since they allow you to access hard-to-reach places. However, if you live in a tiny apartment, these features may be a big obstacle during regular vacuuming, making it unnecessarily complicated. 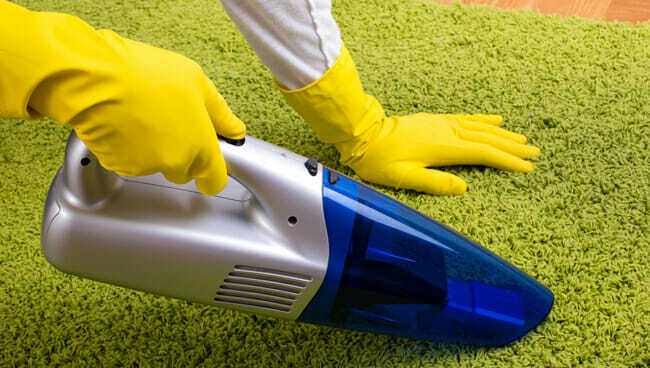 With that out of the way, we can go over the most important features you should look for in the best pet vacuum cleaners and simultaneously create a parallel overview of corded vs. cordless vacuums. Suction power directly translates to your vacuum’s cleaning ability and is hands down the most important factor to consider when purchasing a new pet vacuum. The overall performance can be enhanced to a degree with a good attachment, but nothing can replace the sheer power of the machine (specifically, the motor unit). Although not always the case, corded models like Shark Rotator generally provide better suction power than their cordless counterparts and with better consistency. Although cordless vacuums can feature the same motor, their batteries drain over time, which results in a lower power output. One of the common misconceptions is that higher amperage translates to more suction power. Amperage (or “amps”) is just a number that indicates the strength of the electric current used by the motor. For optimal suction power, a consistent airflow and top-tier cleaning head are needed. The more you use your cordless pet vacuums, the lower suction power you will get due to battery drainage. Some high-quality cordless units are perfectly capable of maintaining suction power, but that results in shorter running time between charges. If you absolutely have to purchase a cordless unit, you can maximize the power output by opting for a model that utilizes a high-voltage lithium-ion battery. These batteries can hold their charge better than the cheaper counterparts, which provides you with more consistent suction. One of the worst things that can happen is your pet vacuum running out of juice in the middle of vacuuming. Models with top-tier batteries that can hold the charge longer cost a lot of money, so you may need to weigh budget-friendliness against convenience. Corded pet vacuum cleaners feature a power cord attached to the main power supply in your home, so you never have to worry about charges and run times. When choosing the best cordless pet vacuum for your needs, the charge and run time are definitely two of the most important determining factors. Poor batteries also affect the vacuum’s overall performance, i.e. suction power. In general, batteries can never compete with a steady power supply, so if you decide to go cordless, you should know you are sacrificing run times for convenience. However, some models like Bissell Powerglide can run for up to 45 minutes on a single charge, which is more than enough to vacuum your entire home. Dragging your giant heavy pet vacuum around the house is definitely not an exhilarating task, especially if you only have to clean one specific area. People usually perceive cordless vacuums as more mobile, but that does not always have to be the case. A tangled power cord, on the other hand, is something that is ever-present with corded models. Even the lightest corded pet vacuums limit you to a degree when it comes to transportability. Apart from avoiding the power cord, you also have to find a free power socket nearby, which is especially tedious when you want to clean your car interior. To offset this disadvantage, many high-quality corded models come with pretty long power cords (usually between 16 and 20 feet). Mobility is the main selling point for cordless pet vacuums. They can reach pretty much any space, no matter how tight and out of the way. In other words, you can vacuum your car, attic, basement, loft or office without any difficulties and logistical nightmares. Additionally, if your pets and kids are constantly running around the house, having one less cable for them to trip on is definitely a good thing. Once you decide on a specific model, you want to know it will serve you well for years to come, especially if you opt for an expensive unit. In general, there are fewer things to go wrong with corded models, which is why they usually come with 1-year warranties. Reputable cordless units usually come with 2 or 3-year warranties since using a battery as a sole power source can lead to many potential problems. Finally, when choosing a new vacuum cleaner, you want to opt for a model that offers the best value for money, that is, a vacuum that will provide you with top-quality performance without leaving a dent in your budget. On average, corded units are cheaper than their cordless counterparts. You can find a decent pet vacuum for under $100 that will provide you with better performance than the much more expensive cordless devices. Simply put, you will have to pay more for the added benefit of mobility and convenience. A good cordless pet vacuum can cost hundreds of dollars while low-grade units can be found for around 50.